I was reminded about this movie by Heidenkind – go and check the rest of her non-holiday movies list – thanks a lot! I owe you again! Where is the safest place for your secrets? If you say ‘in my own head’ this movie can actually make you change your mind. Dom Cobb is a skilled extractor – a thief who can navigate people’s mind in their sleep and find out the secrets they are hiding while sharing their dream. Sometimes he must create a dream within a dream to reach the information he needs and with every layer of the sleep the whole process gets trickier. Still he is one of the best and he works with a team of other professionals, called architects. Architects are responsible for creating the right scenery of a given dream, designing it from scratch. Every single detail of fictional reality must be in perfect accordance with the locations known to their victims. Cobb and his colleagues earn a lot of money, being usually hired by powerful corporations and super-rich tycoons; still because of that not exactly lawful profession Cobb has also plenty of enemies and can’t return home to live with his two children – in America he is a fugitive from justice, officially accused of murdering his wife, Mal. 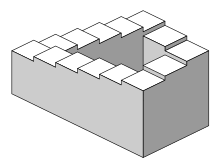 Penrose stairs are incorporated into the film as an example of the impossible objects that can be created in lucid dream worlds. One of his victims, a very wealthy businessman called Saito, after an almost-successful session of dream-sharing and stealing, makes Cobb an offer he cannot refuse. Using his influence Saito will make it possible for Cobb to return home, his criminal records wiped clean permanently, but in return Cobb must try something even more difficult than extraction, an inception. 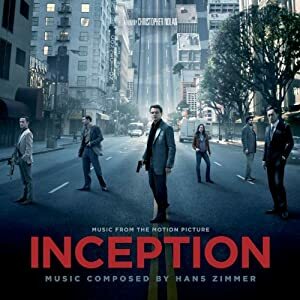 Inception is the exact opposite of what Cobb’s been doing – instead of stealing a secret from somebody’s mind you plant a new idea inside their brain. It is a very complex process – you need a lot of psychological skills and knowledge about your victim because if they don’t accept that idea as their own they will remove it from their head in no time. Some partners of Cobb actually think an inception is impossible but Cobb knows it can be done. In fact he did it once and it was so successful that he has been regretting the results every single day ever since. Still, as he misses his children very much he decides to make a deal with Saito. Saito wants Cobb to invade the mind of Robert Fisher who is soon going to heir his father’s empire, Fisher-Monroe energy conglomerate. Fisher-Monroe is the major rival of Saito’s corporation and they can no longer compete with it in successfully. Cobb is supposed to plant an idea of splitting up the company in the head of the young successor – no mean feat because it is the very move any sensible owner would oppose. How to make Robert accept such a notion? Is it possible at all? Saito and Cobb think so. After all subconscious is motivated by emotions not reason, right? Now Dom has to create a new team – including a good forger and the best architect he can find. That’s how he meets Ariadne, an architecture student who is more gifted than himself when it comes to designing a dream. 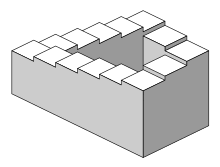 Her task will be creating labyrinths – the equivalents of every layer of their victim’s consciousness; first she must be trained by Cobb how to navigate a dream. I refused to watch this one for a very long time because of Leonardo Di Caprio. Yes, I don’t like this actor but this time I was pleasantly surprised. He played decently well and he was given the main role in one of the most intelligent sci-fi movies I’ve seen for a long time, the lucky devil. I loved the theory behind dream-sharing, all these projections of your subconsciousness, and the fact that the deeper inside the dreamland you were the more the time slowed down around you and the quicker your brain worked. It was an elegant solution. I also appreciated it that they didn’t forget about our natural defense mechanism – as soon as you realize somebody is messing with your dream your projections become aggressive, trying to eliminate the intruder from your brain. After some training you can even arm your projections and hurt the invader. Of course being hurt in your dream doesn’t mean anything when you wake up but still you can feel the pain without any problem. And you never should recreate the places that really exist in your mind because it can stir your memories and lose the grasp between what’s real and what is a dream. Oh and you need a personal totem, something unique and heavy which will help you realize whether you are inside a dream or not. Nice isn’t it? I could talk about it forever. I also loved all those Minotaur’s labyrinth analogies because the myth itself is compelling. It is evident that Cobb represents Theseus, the founder-king of Athens who volunteered to go to Crete in order to free his people from a bloody offering of seven young men and severn maidens made every ‘Great’ year (so every seven solar years) to appease Minotaur. Minotaur was a half-bull half-man, living in a labyrinth build by Daedal in Knossoss, the son of Queen Pasifae, sired by a bull sent by Poseidon as a revenge. After he ascended the throne of Crete, Minos competed with his brothers to rule. Minos prayed to Poseidon to send him a snow-white bull, as a sign of support. He was to kill the bull to show honor to Poseidon but decided to keep it instead because of its beauty. He thought Poseidon would not care if he kept the white bull and sacrificed one of his own, an inferior animal. To punish Minos, Aphrodite made Pasiphaë, Minos’ wife, fall deeply in love with the bull from the sea. Pasiphaë had the archetypal craftsman Daedalus make a hollow wooden cow, and climbed inside it in order to mate with the white bull. The offspring was the monstrous Minotaur.Everybody knew it was a madness sent by the Gods so neither the unhappy Queen nor her monster of a son were punished. Pasiphaë nursed him in his infancy, but he grew and became ferocious, being the unnatural offspring of man and beast, he had no natural source of nourishment and thus devoured man for sustenance. 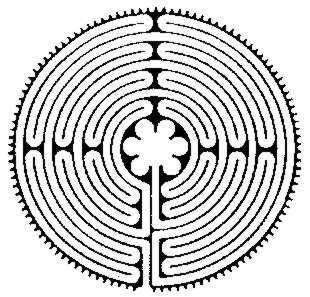 Minos, after getting advice from the oracle at Delphi, had Daedalus construct a gigantic labyrinth to hold the Minotaur. 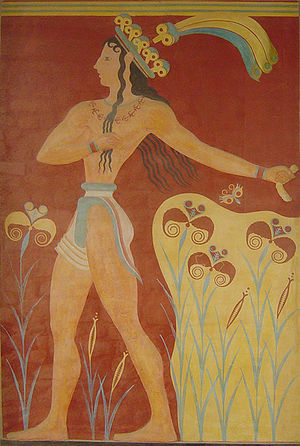 Its location was near Minos’ palace in Knossos. Mal, Cobb’s wife represents the beast itself, she is something created against your own will. Being dead, she is just a projection of her husband’s mind. It means Cobb carries the beast inside his head – a feeling or an idea that he is guilty and he cannot pardon himself enough to let Mal go. While Theseus was just led by the thread of Ariadne (the princess never entered the labyrinth but she was the half-sister of the beast), Cobb is accompanied by Ariadne herself and she is the only one who questions his problems and forces him to fight them. Will he get his catharsis, though, while he leaves Ariadne behind? In the myth, while Theseus and the rest of the crew fell asleep on the beach Athena waked the prince and told him to leave early, leaving Ariadne and her sister, Phaedra, on the beach. Stricken with distress, Theseus forgot to put up the white sails instead of the black ones, so his father committed suicide. It was explained that Dionysus later saw Ariadne crying out for Theseus and took pity on her and married her.In the movie Ariadne never becomes romantically involved with Cobb but still she is the closest to him, understanding him much better than any other member of his team. Only after watching the movie for the second time I noticed some ambiguities concerning the main plot. Why exactly Cobb couldn’t invade the brain of some American prosecutors to make them fix his little law problem? He had the skills, he had the team…was it more difficult than revealing corporate secrets? Somehow I don’t think so. Also the ending left me wondering: did he or didn’t he succeed? Fortunately some Interned browsing later I managed to answer my own question. ALMOST. An intelligent sci-fi movie without rubbery monsters or tons of blood and slime. It will entertain you and it will make you think. If you get bored in December watch it one evening – you won’t regret it. Ok, spoilers ahead – the section below should be read only by people who have actually seen the movie and they wonder: how it really ended? Those of you who’ve seen the movie know that in the final scene, Cobb is reunited with his children. Or is he? Did that scene happen in real life or just in his dreams? COF: How much does costume reflect the inner machinations of the plot, particularly in a film such as Inception? For example, Cobb’s children are wearing the same clothes at the end of the story as they are in his dream ‘memory’ throughout the film. Is there something to be interpreted here? Can’t believe I missed this. Anyway, I liked the film, but though it was a poor man’s version of the Eternal Sunshine of the Spotless Mind. That’s after having seen both films only once. For spoilers section: I don’t think that was his totem spinning in the end so -> reality.